Millions of Americans have no retirement savings at all. How can this be changed? For Americans, the dream of retirement seems to be drifting away. According to data from the U.S. Census Bureau and the National Institute on Retirement Security, 57 percent of U.S. workers (approximately 100 million people) have zero dollars in either an employee defined contribution plan, an IRA, or a company pension. In addition, the data shows the median balance among all working Americans is $0 and that 80 percent of working U.S. adults have less than one year’s worth of income saved up for retirement. Diana Oakley, NIRS executive director says this fact isn’t just a few Americans, it’s the majority. “The facts and data are clear. Retirement is in peril for most working-class Americans,” said “When all working individuals are considered — not just the minority with retirement accounts — the typical working American has zero, zilch, nothing saved for retirement,” said Oakley. Any dream U.S. workers have for a comfortable retirement has gone up in smoke. Even those middle-class Americans who do have a retirement savings, don’t have nearly enough. As bad as these numbers look, do they suggest the American retirement savings system is collapsing? Not quite, says Joe Ready, head of Wells Fargo Institutional Retirement and Trust, based in Charlotte, N.C.
That doesn’t mean the system can’t stand some much-needed improvements. “The improvements needed are a shared responsibility between the private sector, government, companies and individuals,” Ready said. 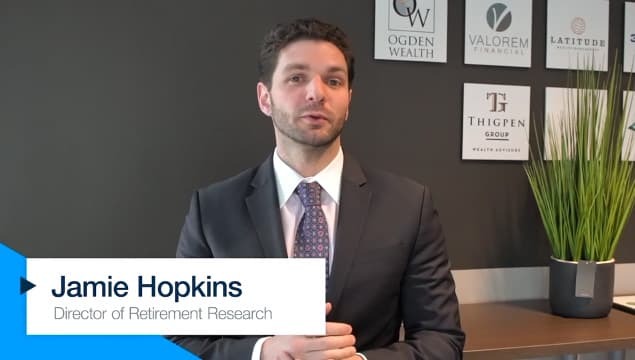 One idea is to ensure retirement savings policy is focused on helping participants solve the many retirement journey complexities from the first day on a job through retirement. Overcoming other personal financial burdens, and clearing the way for some real retirement savings, is also a priority for American workers (especially younger ones), but U.S. adults don’t seem to be paying attention. Chelsea Hudson, personal finance expert at TopCashback.com says she sees the obstacles preventing retirement savings every day. “Now more than ever, planning for retirement has taken a back seat for most Americans due to student loan debt, rising living costs, poor financial literacy and the need to live in the moment,” Hudson said. Younger workers with college debt are struggling. According to a recent report by Student Loan Hero, the average college graduate graduates with more than $37,000 in student loan debt. Hudson, who also says that the U.S. retirement system is “not broken,” says Americans who are way behind on retirement savings shouldn’t get overwhelmed – just take action in small, concrete steps. Training Americans in the fine art of money management should be prioritized, too – even though that’s really not the case right now. Steve Jablonski, a financial planner at Informed Family Financial Services, in Norristown, Pa. thinks financial education should be part of school curriculum. If Americans don’t have a firm grasp on personal spending and debt, it can be too late to make any real progress saving for retirement. Can Government Lead The Way? The NIRS report concluded with a call for Uncle Sam to step up and take more responsibility for the lack of Americans’ retirement savings. “Public policy can play a critical role in putting all Americans on a path toward a secure retirement by improving Social Security, expanding access to low-cost, high quality retirement plans, and helping low-income workers and families save,” the study noted. Social Security, the primary underpinning of retirement income security, could be strengthened to stabilize system financing and enhance benefits for vulnerable populations. States across the nation are taking key steps to expand access to workplace retirement savings, with enrollment in state-based programs this year starting in Oregon, Washington and Illinois. Other proposals to expand coverage are on the national agenda but universal retirement plan coverage has not become a national priority. Expanding the Saver’s Credit and making it refundable could help boost the retirement savings of lower-income families. Training American workers to adopt a different mindset for money, savings and retirement will need to happen, too, says Robert Johnson, professor of finance, Heider College of Business, at Creighton University. Mistakes begin early in life and the biggest financial mistake people make today is taking too little risk – and that’s where stocks come into play.